Exotic scents waft through the air and brightly-colored spices lie in bowls ready for their time in the fire. Chefs whirl around each other -- a bustling dance with aprons and wooden spatulas. There&apos;s laughter and clamor. Many dialects are heard, none of them English. Your senses are hinting that you might be at a typical African or Middle Eastern street market. But, in fact, you passed a Best Buy and strip malls to get to Spice Kitchen Incubator in South Salt Lake. You&apos;re simply witnessing meal production in full swing at this popular location. Refugees from all over the globe -- Bhutan, Burma, Somalia, Sudan, Iraq, Syria, Congo -- land in Salt Lake, Utah, and find their way to Spice in pursuit of a career in the culinary arts. Most people don&apos;t realize how large our refugee population is here, and that really adds to the fabric of Salt Lake and is what makes Utah great. 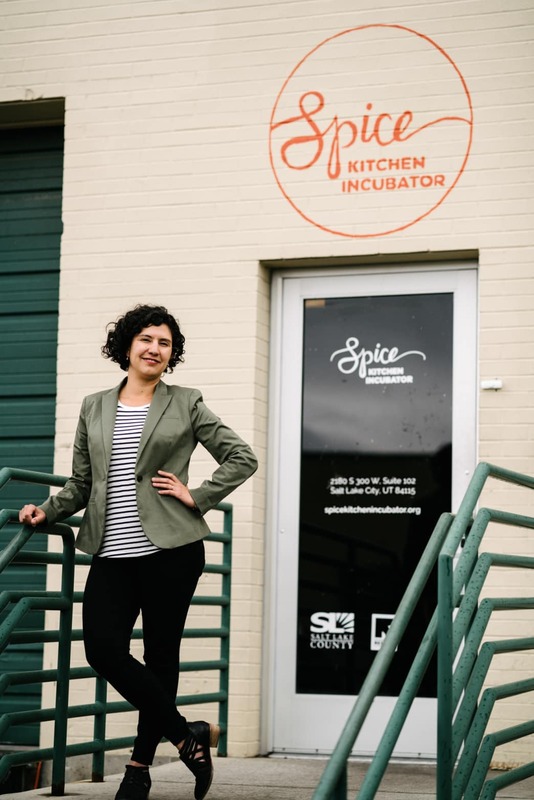 The International Rescue Committee Salt Lake City (IRC), in partnership with Salt Lake County, launched Spice Kitchen incubator in 2013 after members of the local refugee community requested support to start a business. "A lot of refugees here have either agricultural or culinary backgrounds, and they want to put those skills to work," says Natalie El-Deiry, deputy director of Spice Incubator Kitchen. There are several barriers of entry into the food world as a would-be entrepreneur, refugee or otherwise. Access to a large industrial kitchen is challenging to find, not to mention expensive. There&apos;s a steep learning curve to gain working knowledge of United States and Utah food production and business administration laws and protocols. And then there&apos;s the multitude of important minutia in getting a business off the ground -- from budgets to sales. 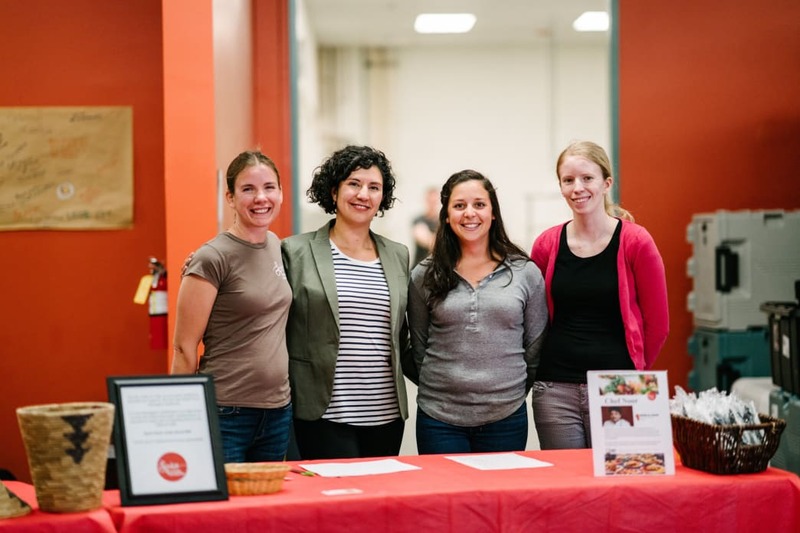 So Spice set out to find the best practices and solicited the training and guidance of San Francisco-based La Cocina, a decade-old, low-income food incubator. Spice now operates a 4,000-square-foot kitchen with all the tech gizmos a culinary wizard could ask for. The kitchen is offered at a subsidized rate for those in the program. Spice also aids entrepreneurs in business plan creation, recipe costing, business licensing, insurance, branding, marketing and much more. Spice even offers refugees low-interest small business loans. It&apos;s the whole package to empower culinary creation and a sustainable business -- indeed, the program recently spun off its first brick-and-mortar, Laan Na Thai on the north end of Pioneer Park, and offers weekly prepared meals via Spice To Go and at the Salt Lake Downtown Farmers Market. "Spice Kitchen was founded on the idea that everybody deserves to pursue their dreams," El-Deiry says. "We wanted to be able to offer an opportunity that was affordable and helps mitigate risks for them." 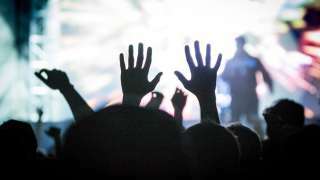 Most would-be entrepreneurs are in the program for up to five years. "Our goal is to have people spread their wings and fly around that time," says El-Deiry, pointing to the recent success story of Laan Na Thai, the first brick-and-mortar restaurant to spin off from Spice. The husband-and-wife duo at Laan Na Thai came to Utah from Northern Thailand and worked diligently with Spice to secure their own restaurant, currently located on the north end of Pioneer Park. El-Deiry says that Spice hopes to have up to a dozen more businesses land in brick-and-mortar locations within the coming years. Many refugees begin that journey by developing a lucrative catering business. To that end, Spice facilitates the weekly Spice To Go. Patrons place advanced online orders and pick up the warm prepared meals at the kitchen in South Salt Lake. There&apos;s a different chef each Thursday, and El-Deiry says that they&apos;ve been fulfilling around 300 orders per week. That means anywhere from $3,000 to $5,000 in sales for each entrepreneur. The reviews are great, too! Spice also has a booth at the Salt Lake City Downtown Farmers Market, where, similarly, the chefs rotate each Saturday. What&apos;s more, a pop-up restaurant concept will soon launch, where an entrepreneur can weave through the waters of a real restaurant&apos;s operation. All said, the offerings help the new international entrepreneurs and also make for a great opportunity for you to try an assortment of delicious ethnic food. 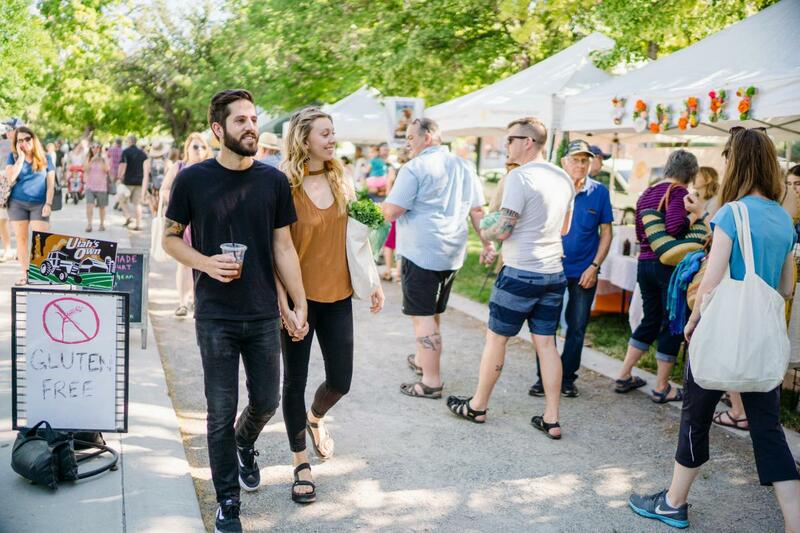 Find breakfast, lunch, dinner dishes and vegetarian options also served at popular events held the Salt Lake area. "The amount of diversity in Utah is often overlooked," El-Deiry says. "Most people don&apos;t realize how large our refugee population is here, and that really adds to the fabric of Salt Lake City and is what makes Utah great." There&apos;s an estimated 60,000 refugees in Utah -- according to the Department of Workforce Services, Refugee Services Office -- resettled mostly along the Wasatch Front. "Utah is a very welcoming community to refugees, especially because we [IRC] and Catholic Community Services, offer some of the few 24-month resettlement programs," El-Deiry says. IRC alone welcomes 1,200 refugees annually. The colorful fabric of the city can easily be seen during a bustling cooking session at Spice. There might be up to three different teams cooking up a frenzy, all while cross-counter conversations can be heard. The nondescript industrial kitchen becomes a place for support and empowerment. "Sometimes, you just stand back and see these entrepreneurs -- mostly women -- who have come from all over the world, encouraging each other to do their best," says El-Deiry. "One of my favorite things is the camaraderie that&apos;s built between them." Find out more information about Spice Kitchen Incubator by visiting www.spicekitchenincubator.org and make plans to try some of the best food in Salt Lake. Written by Austen Diamond for Utah Office of Tourism.